Earn a living from home! Learn how to use your skills to help bloggers and other content marketers manage their projects! I am a wife, a mom, a blogger, and a professional project manager for bloggers and digital marketers. For years I have worked hard to find creative ways to make a real income from home. And after all of my dabbling, research, and endeavors, only one thing has proven to bring real, lasting results time and time again — skills. Thousands of business owners need your help! Bloggers, digital marketers, and other online entrepreneurs want to pay you to use your skills to help them grow their businesses. Like you, I’ve always been interested in finding out how I can earn a legitimate income from home. And like you, I’ve become sick and tired of sifting through scam after scam trying to find the open door. It wasn’t until 2015 that I found the door I’d been searching for in the form of an unlikely opportunity to learn a single new skill: proofreading. I was able to use that skill to earn money helping court reporters polish their transcripts. If I could use my proofreading skills to earn a living from home, what other skills could I use? From there I decided I would never stop learning new skills. Fast forward a few short years, and I’ve had the privilege of helping bloggers and digital marketers earn hundreds of thousands of dollars by managing their projects, streamlining their systems, and developing new products that their audiences love. All the while doubling my family’s annual income in less than 3 years. If I can do this after starting with one single skill, so can you. Growing an online business is no joke. Overflowing inboxes, tons of unfinished projects, late nights, little sleep, and no vacations. This is what small business owners face when they take a chance on their dreams. And it’s why so many new businesses fail on start-up. But they don’t have to. You can help. Turn your skills into a real viable income from home helping bloggers and digital marketers manage their projects! Not sure you have the skills? Find out! Enroll in my FREE comprehensive intro course! This 7-unit intro course will take you through the framework of skills you need to work in this exciting industry — and how you can learn these skills! Find out exactly what blogging is, what the difference is between hobby blogging and professional blogging, and much more! Learn the six building blocks necessary to manage a successful blogging business! How do professional bloggers make money? Discover how professional bloggers generate income for their blogging business, and what skills you can learn to help them increase their revenues! Get an in-depth introduction to the most powerful and popular content management system used by hundreds of thousands of website owners! Is the blogging industry a viable industry? Find out exactly what it takes to keep a blogging business afloat and why bloggers can’t do it alone. Learn what digital marketing is and why online entrepreneurs need skilled help with their digital marketing strategies. Unpack the skills you need to work for professional bloggers, digital marketers, and other online entrepreneurs. They might surprise you! 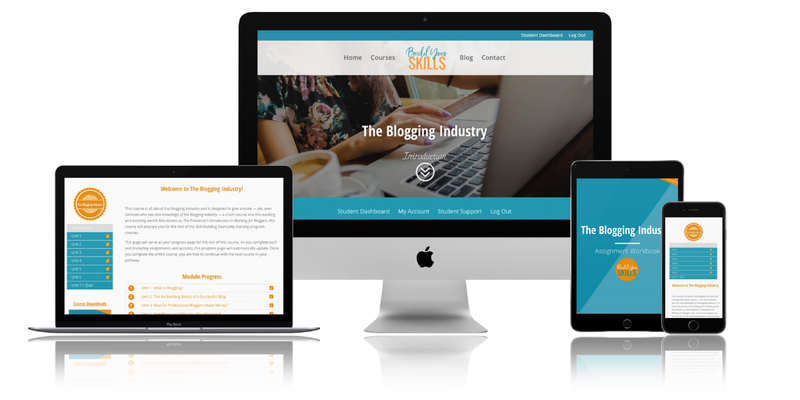 FREE enrollment in my 7-unit intro course, The Blogging Industry, the pre-requisite to the Skill-Builders Bootcamp training program! FREE access to the 7-page printable assignment workbook so you can keep track of the actionable assignments in each unit. FREE access to the printable and fillable 41-page Case Study Blog Worksheet designed to help you get to know your clients before your business even gets started! Lifetime access to the course and all content updates! This is NOT a blogging course. Before you sign up, I want to make sure we’re on the same page. This intro course is NOT designed to teach you how to be a blogger — though, you can still learn a lot if you do want to be a blogger. 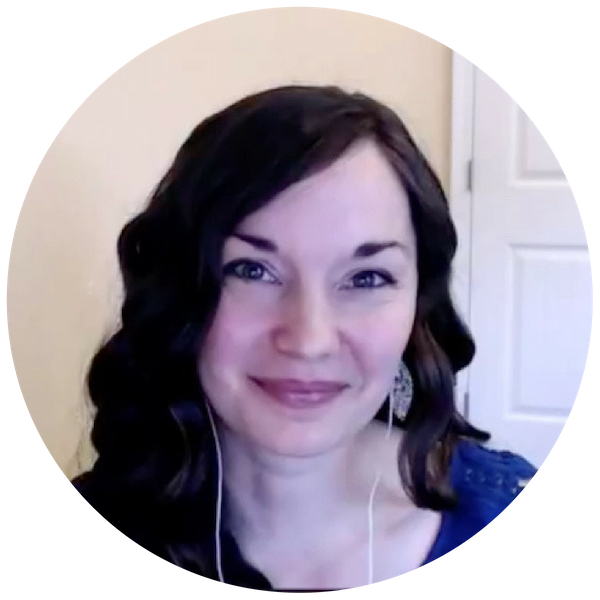 This intro course is designed to teach you exactly what skills go into creating and maintaining a successful content marketing business (like a blog) so you know where to focus your own efforts when it comes to building your skills. Basically, it’ll illuminate the different skill sets you can grow and use to earn an income from home in this industry working behind the scenes to help businesses and business owners thrive. You + Skills = A Beautiful Future! Why give this away for FREE? Because I want you to be where you’re going to thrive — and knowing how to get there is half the battle. When it comes to investing in yourself and where you want to be in the future, it’s paralyzing to worry about whether or not the investment was the right decision. That’s why I want to give this course to you for FREE. I want you to have all the facts before you invest in learning new skills. I’ve been told I should charge for this course and the support it comes with — but I don’t care. Because if I hadn’t had the support I did when I started, I never would’ve gotten to where I am today. And it’s time to pay it forward. Yes, I want to receive emails from you that will help me toward my goal of creating a sustainable income from home, including work-at-home opportunities, trainings, and helpful offers! Fill out the form below to get access to the comprehensive 7-unit intro course! Your information is never shared with anyone for any reason. Yes, I want to know when the site is LIVE, when Build Your Skills courses are ready for me to enroll, and about other beneficial offers!